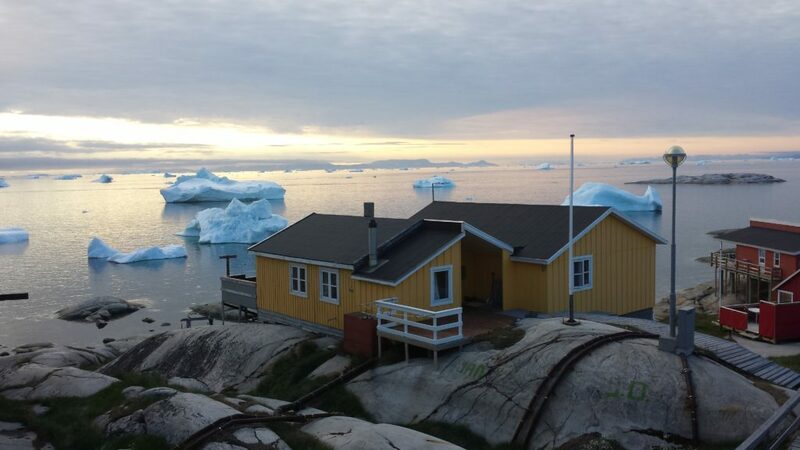 It was a long wooden walkway running down over the rocks to it, a dull yellow, low clapboard structure with small rectangular window and an unassuming bland metal chimney on the end, the calm water, ice and endless sky spreading out beyond it as far as she could see. That was their home for the next three weeks. Her mother played records from start to finish. Lai wasn’t allowed to just listen to her favorite songs. She had to get there. She had to hear all of the songs on the record, both sides, A and B. Puff was the second last song on Side A. And then This Land is Your Land. I couldn’t stand that song. Lai watched her mother, sitting there in a hand-knit sweater, a grey and white caribou herd across her chest. She looked old, not just the way she moved, but her face and neck. It was what she imagined for herself, wandering through darkness, not finding the right things, sitting and staring, because there was nothing else to do.